The other day, I need to remove some paint off a few motorcycle parts I was planning on repainting. 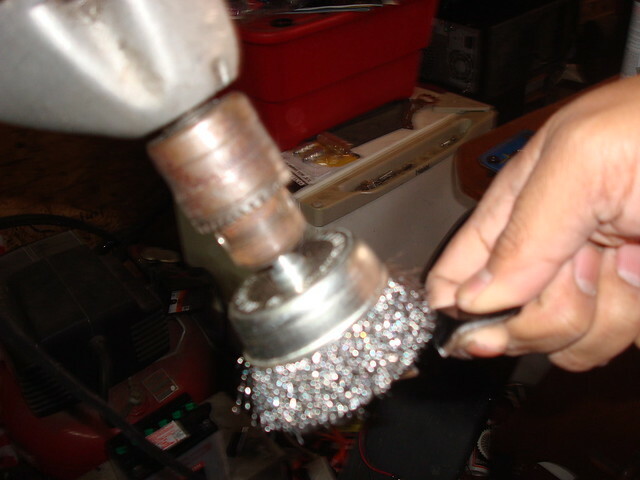 The problem was, every time I’d take my drill with a wire wheel attachment was keeping the piece I was working with in place or my drill from moving around. 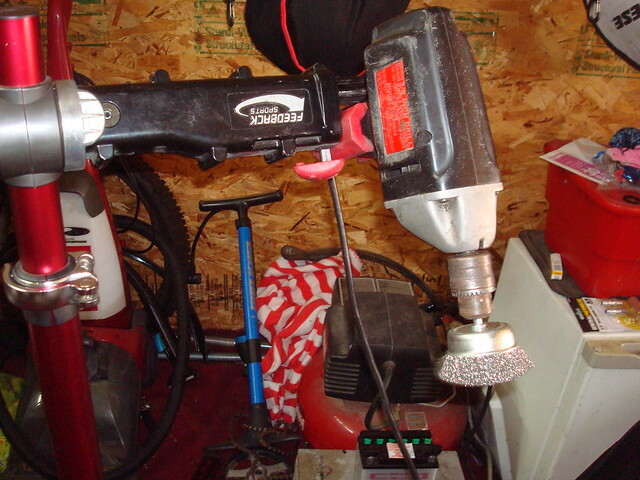 Then I saw my bicycle work stand, figured I could clamp down the drill. Turned the drill on and set it for on, and viola! I was able to remove all the old paint from the parts. This can be useful if you need to strip the paint of a bicycle frame or just about anything. Frees up your hands! Previous PostPrevious Double Banger Tandem Project Update: Cut em’ up!! !